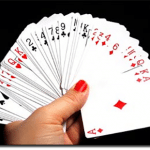 One such variant of blackjack which isn’t as common online is Triple Attack Blackjack. 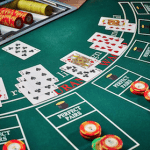 Found at land-based casino venues, it is a relatively new variant, and it may not be long until we see it appear among the array of real money 21 games online. As the name suggests, Triple Attack Blackjack, allows the player two extra opportunities to wager, on top of the initial bet, before the game actually begins. We detail the rules below in terms of the deck, dealer, player, and extra rules involved. Similar to Double Attack Blackjack, this is a variant of Spanish 21 – the Australian Pontoon version (not to be confused with the Pontoon variant online). The game uses eight Spanish decks – these see the four 10 cards of each deck eliminated to make a 48 card deck. You may be thinking this raises the house edge, but just as Spanish 21 has unique rules added in order to balance it out, so does Triple Attack Blackjack. The dealer begins by giving every player their first card and then they will give themselves a card, face up. Once the players have placed the special attack wagers (see below) the dealer will deal a second card to each player and another card to themselves, face down. If the dealer’s up card is an Ace, players can opt for Insurance, with a significant payout upgrade if you win this side bet (see below). If the dealer has blackjack, all players lose unless the player has blackjack – this sees an even money payout for players with 21 too. Additionally, the dealer has to stand on all soft 17s. Before the cards are dealt, the player makes their ‘first attack’ wager. Then once the player receives their first card they can opt to make a ‘second attack’ bet which must be equivalent to the ‘first attack bet’. Then once the dealer has their first card, facing upwards, the player has the option to make a ‘third attack’ bet which also needs to be equivalent to the ‘first attack’ wager. You do not need to have made a ‘second attack’ bet to make the third, however. The game then proceeds with a few rule variants than in a standard game. If a player wants to split a pair of the same ranking cards, or double down, they have to place additional bets for every attack bet placed. For example, if a player has placed three attack bets of $10 each, the total is $30, and therefore the the double down wager is an additional $30. The player can double after splitting, and they can double on any number of cards. Re-splitting Aces is also available. Additionally, If the player manages to get six cards, without busting, they also win. Insurance is also a side bet option, but we will detail this below in payouts. There are some drawbacks and advantages when it comes to the payouts of Triple Attack Blackjack. Players who score 21 will land an even money payout of 1:1. This is one of the major drawbacks to the game as generally blackjack pays 3:1. It doesn’t matter if it is a natural blackjack, you beat the dealer, or you both get 21 – all pay 1:1. If insurance is offered and taken by the player – payouts will see 5:1 for a suit blackjack and 2:1 for a non-suited blackjack. While this payout is more enticing than a standard blackjack game, the house edge is still quite high: 6.01%. The house edge for Triple Attack Blackjack is considered to be 1.17% – this is based on land-based variants as it isn’t available online as of yet. Additionally, if you opt for the side bets the house edge for the Suit Royals side bet is 3.13%, and 5.69% for the Triple Match side bet.